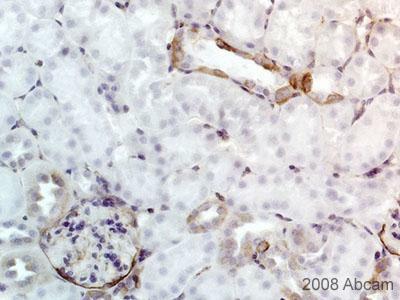 Rabbit polyclonal Alpha B Crystallin (phospho S59) antibody. 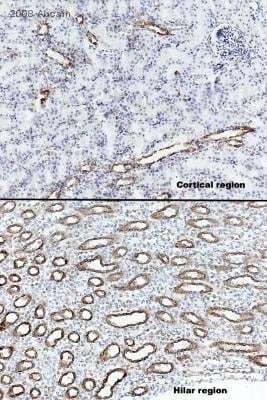 Validated in WB, IHC, ICC/IF and tested in Mouse, Rat, Cow, Human. Cited in 7 publication(s). Independently reviewed in 3 review(s). Synthetic peptide corresponding to Human Alpha B Crystallin aa 54-64 (phospho S59). Our Abpromise guarantee covers the use of ab5577 in the following tested applications. WB Use a concentration of 0.5 µg/ml. Detects a band of approximately 20 kDa. ICC/IF Use a concentration of 8 µg/ml. IHC-P Use a concentration of 8 µg/ml. Defects in CRYAB are the cause of myofibrillar alpha-B crystallin-related (MFM-CRYAB) [MIM:608810]. A neuromuscular disorder that results in weakness of the proximal and distal limb muscles, weakness of the neck, velopharynx and trunk muscles, hypetrophic cardiomyopathy, and cataract in a subset of patients. ab5577 at 0.5µg/ml concentration staining approximately 20 KDa Crystallin Alpha B in lane 1) phospho-alpha-B crystallin (Ser59) and lane 2) non phosphorylated alpha-B crystallin in U373 cell lysate. 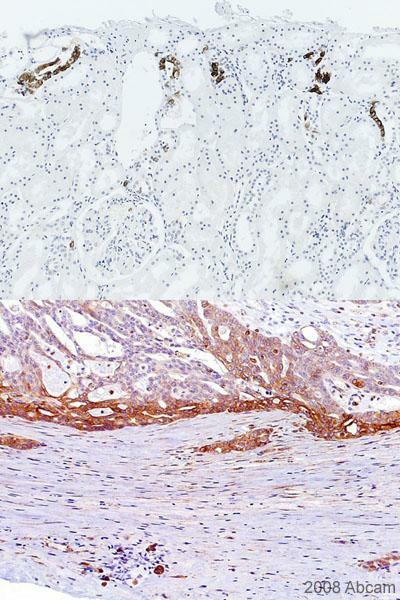 ab5577 staining of (top panel) human kidney tissue sections, highlighting highly localised staining in tubular epithelial cells, and (bottom panel) human ovarian carcinoma sections. Formalin-fixed paraffin embedded sections of human kidney and ovarian carcinoma tissue were incubated with ab5577 (1/1000) for 2 hours at room temperature. Antigen retrieval was performed by heat induction in citrate buffer, pH 6. Publishing research using ab5577? Please let us know so that we can cite the reference in this datasheet.